From Boano to Bertone, Marco Leoncelli’s 1971 Alfa Romeo GTV is a desirable 1750, often considered the best balanced of the long-running 105-series coupe family. 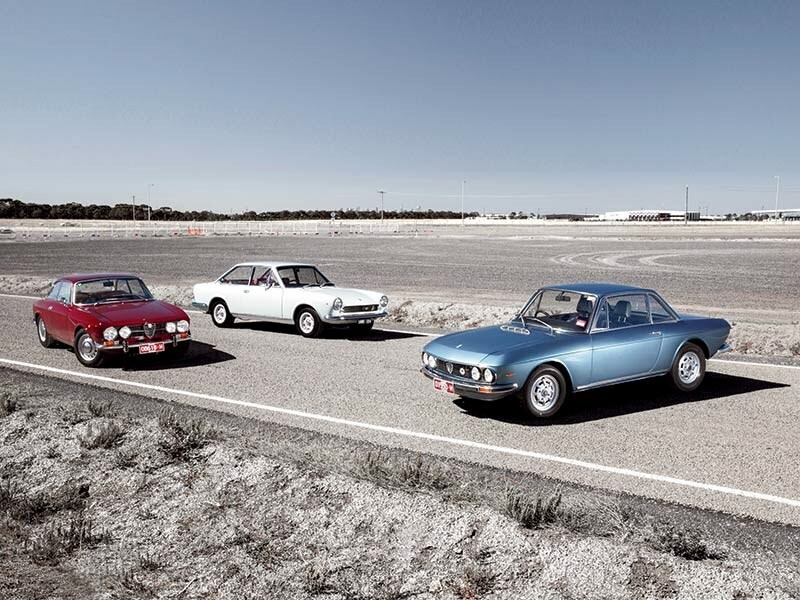 Amazingly, Alfa aficionados initially dismissed the Giulia coupe when it was introduced, feeling the design was too far removed from the highly revered 101-series Giulietta and Giulia coupes it was designed to replace. Bertone’s Giorgietto Giugiaro is credited with the 105 shape, which first appeared in ‘step-nose’ Giulia Sprint GT form in 1963. It was draped over a 1570cc iteration of the already-familiar all-alloy twin-cam four-pot, producing 79kW. All-wheel disc brakes and a five-speed manual were present from the start, as was the exquisite pair of twin-throat sidedraft carburettors, offering one throat per cylinder. In 1965 the Sprint GT was joined by a Veloce (fast) version. Though power was only up to 81kW the Veloce became an outright Bathurst threat in 1967, finishing third and fourth outright, on the same lap as the victorious Ford Falcon XR GTs. 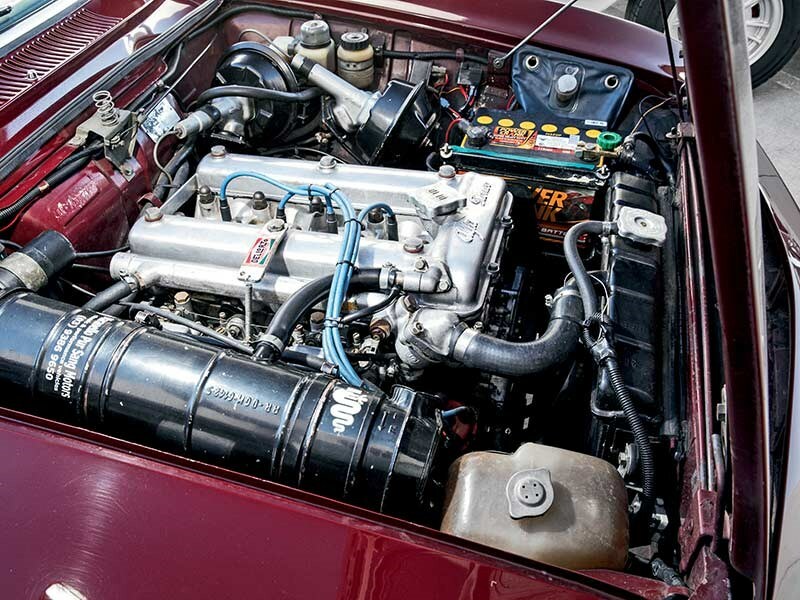 For 1967 the 105 coupe received its first significant update, with the introduction of a 1779cc power unit, producing 91kW and – more significantly – 182Nm. 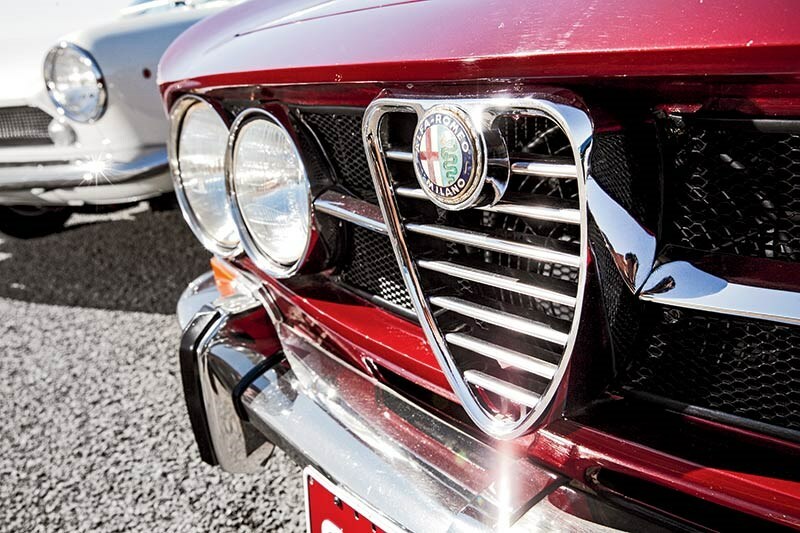 It was badged as a 1750, harking back to a legendary pre-war Alfa design by the incomparable Vittorio Jano. Under the skin a hydraulic clutch was introduced along with a rear anti-roll bar for the first time. A limited-slip differential became optional and dual-circuit braking was introduced for 1970. 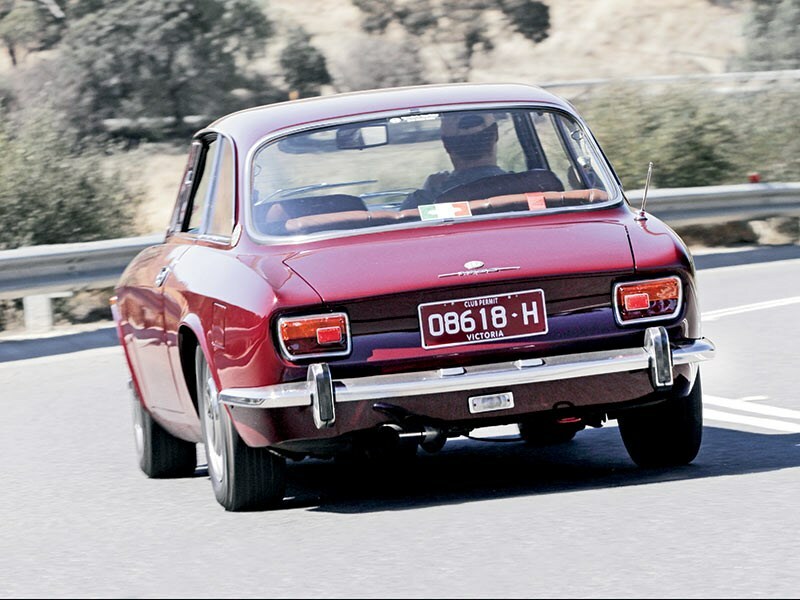 The 1750 GTV was externally restyled with a flush-fitting bonnet and a simple, single bar grille and quad headlights. 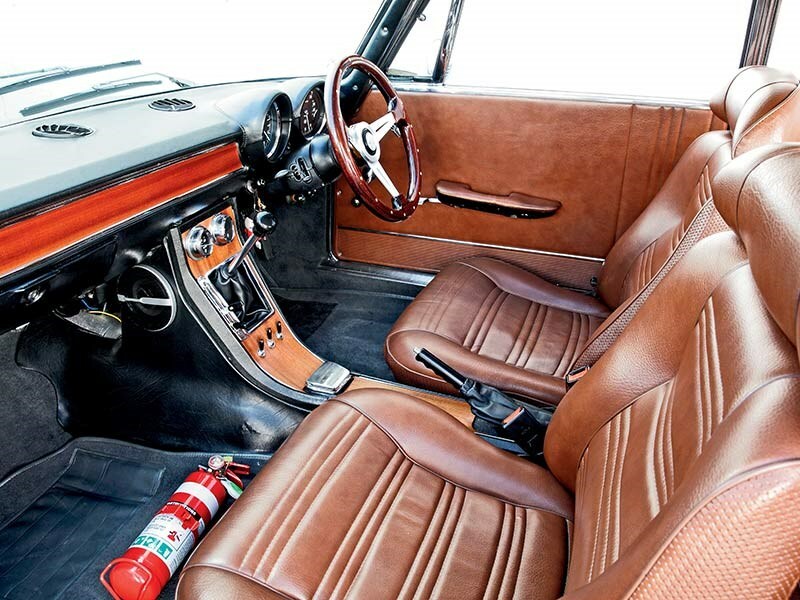 Occupants were carried in more comfort, with shapelier seats incorporating adjustable headrests along with a more curvaceous new dashboard. 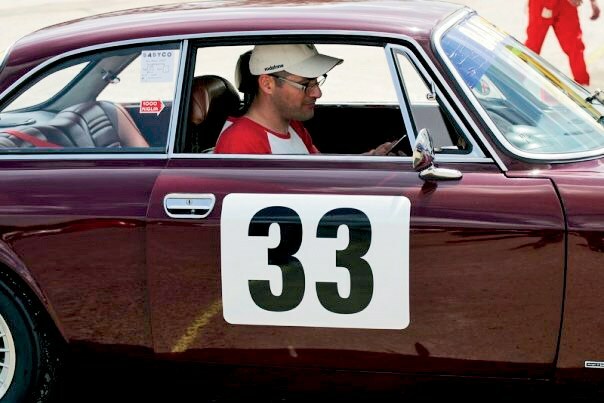 The 1750 GTV was the most successful seller of the breed, with 44,276 units produced before it was replaced by the 2000 GTV late in 1971. Marco Leoncelli’s late-build 1971 1750 looks superb in the flesh, the rich burgundy exterior and tan interior a welcome dose of sophistication away from the more common red-over-black on the 105 body. Twin Dell’Orto carbs make for a raucous induction note, reacquainting me with my own 105 from way-back-before-mortgage-and-kid times. The 1962cc final GTV was only upped to 98kW, but it had more thump down low in the rev-range. 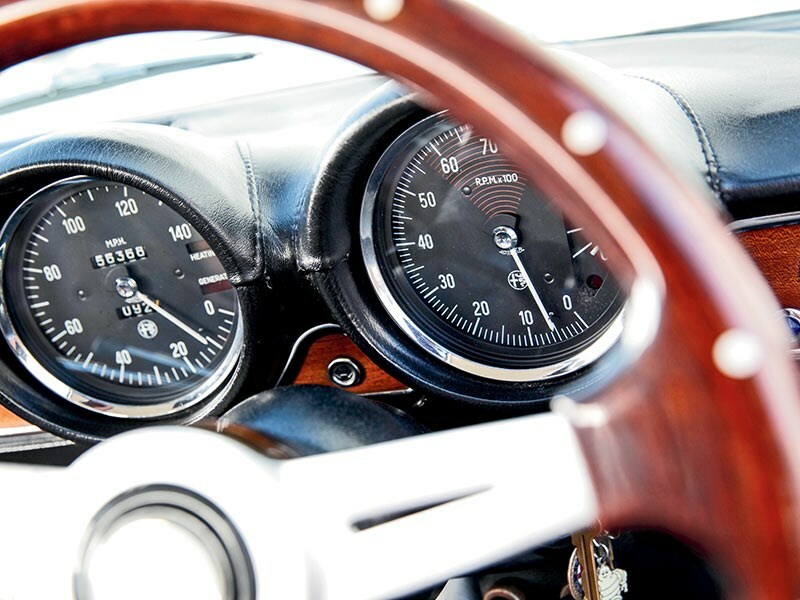 A simpler dash cluster lost character over the 1750, but interior ventilation was improved. Externally the front-end received another makeover; still quad-headlight, but with a busier makeup of horizontal slats almost absorbing the central grille centrepiece with its Alfa Romeo badge. 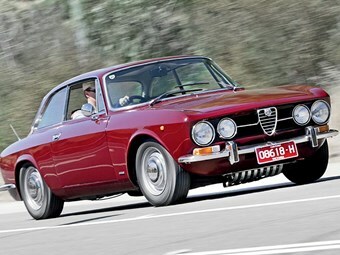 It was built until 1977, by that time sharing production-line space with its 116-Series Alfetta ‘successor’. "Owned for the last 11 years, Marco’s little Alfa sees regular use; hence the modern (but unobtrusive) Bluetooth phone capability. "You are just as likely to see it on weekends at the track [with the Alfa Romeo Owner’s Club Victoria Division], or lined up for a club display," he laughs. "It has been used on a film shoot where producers were looking for authentic vehicles from the 1970s," he explains. Besides the ubiquitous fire hydrant (a nod to track day requirements, not unreliability…) Marco’s car is relatively standard. "It’s been lowered slightly but that’s it. I’d like to keep it that way, and I’d like to keep it forever."